More on the VTI VSP Series 13 inch Cast Iron Center Channel Speaker Stand (Silver) VSPCS below. Call a VTI AV rack specialist at 1-800-807-1477. Supports all speakers, light and heavy, with the highest acoustic quality and excellent cosmetic appearance. 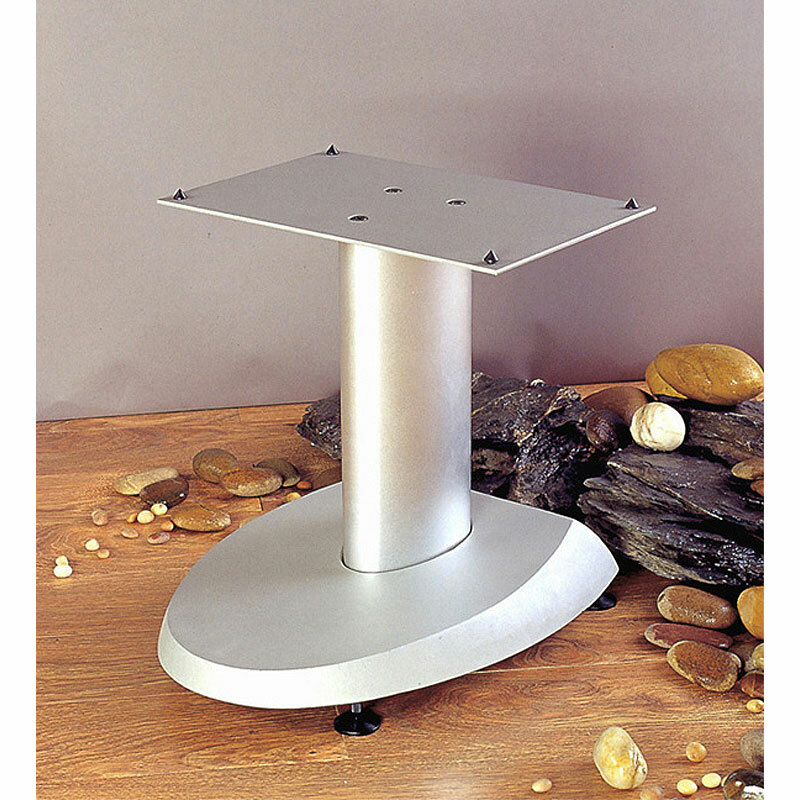 Beautifully-textured, powder-coated, cast iron base with heavy gauge steel top plate and aluminum pillar. Lead shot or sand-fillable for reduced distortion and increased stability. Poles include an internal divider that separates wire management form shot or sand. Therefore, if stand is filled, speaker wires can still be run through the tubes. Adjustable spikes to accommodate various flooring needs. Includes top plate spikes for stability and improved sound performance.